Select an option below and click here if you would like to make a Monthly Donation. These certificates are a great way to celebrate the milestones of your animal-loving friends. A personalized certificate with a message from you will be delivered to your special designee honoring them and acknowledging that you made a donation in their name to CHA. Certificates of Caring come in several denominations. To order a Certificate of Caring, click here. Animals in our shelter need all the love and support they can get. You may not be able to adopt at this time, but you can always Sponsor A Pet, so other potential adopters know that this pet is special enough to be sponsored! When you Sponsor A Pet, we send you a card with the pet’s photo and formation. A sign is then placed on the animal’s cage acknowledging your sponsorship. To Sponsor A Pet, click here. CHA is proud to have an Enrichment Fund which dedicates funding to purchase interactive toys and fun items for our dogs and cats. Each animal adjusts differently to life at the shelter and this program allows the dogs and cats that need distraction to receive extra enrichment. Kroger is committed to helping our communities grow and prosper. 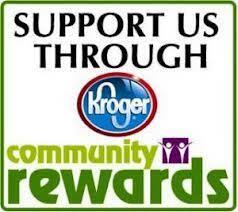 Kroger Community Rewards makes fund-raising easy..all you have to do is shop at Kroger and swipe your Plus Card! Register and use organization code WV899 to designate CHA Animal Shelter. Nationwide Insurance agent Mike Sergakis can also help you leave a legacy to CHA. For more information, visit Mike’s website. CHA Animal Shelter relies solely on donors, fundraising events, adoptions, and a dedicated group of over 300 volunteers to operate. CHA is a 501C(3) nonprofit organization , which means your monetary donation is tax deductible and the funds go directly to the care for our dogs and cats at the shelter. Donations are accepted in person, via mail, at events, and at the link below. Click HERE for a list of food and supply donations that are always needed.